If you planted this book in the ground, what would grow? Pretty sure this book would grow children (“My four-year-old shoves / a toy block in my face / and screams Cheeese!”) but it might also grow patience, fall light, dead people’s card tricks, Frisbees, pot, voicemails. A deliciously cluttered evocative setting makes this book a kind of nest where the reader is at once tenderly comfortable and certain almost anything could happen next. This is not a book that believes following wholesome advice, such as an-apple-a-day, can keep the doctor away and/or give us any control over our destinies. 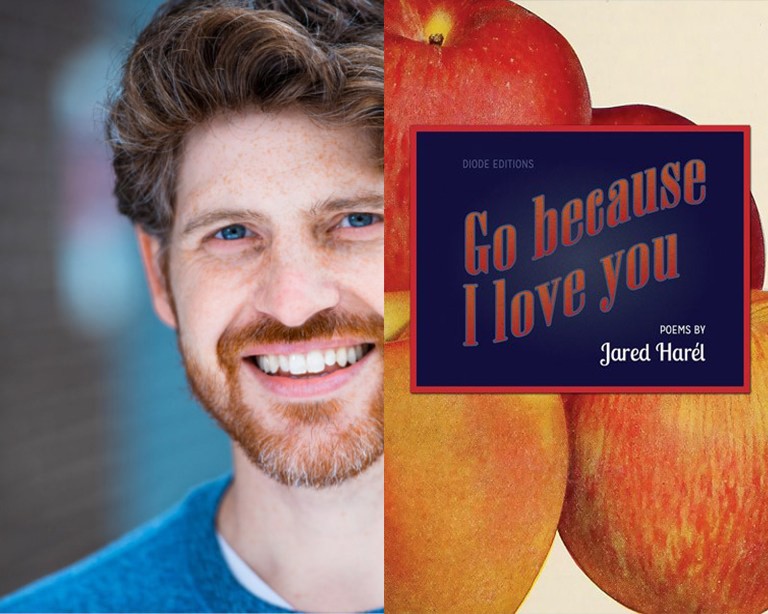 A poem in Go Because I Love You refers to “ruthless transformation” that happens to us; the kind that might happen when you surrender to the deliciousness of an apricot, losing your bearings in the process. If this book were an animal, what animal would it be? This book would be a zebra. To come back to the doctors for a moment, there is an aphorism that medical students learn that goes “When you hear hoof beats, think horses, not zebras”—that is, don’t go diagnosing outlandish diseases before you’ve considered the more common ones. In Harel’s book you should always think zebras, always assume imagination is leading the pack. Sarah Green is the author of Earth Science (421 Atlanta, 2016). She has been the recipient of a Pushcart Prize, a Sewanee Writers’ Walter E. Dakin Fellowship, and a Vermont Studio Center Alumni Fellowship. She is the Visiting Lecturer of Poetry at SUNY-Fredonia.